I during the entire month of January, I kept telling myself I was going to sit down and post my goals for the year. It’s now almost February, and I’ve barely even finished my list of goals for the year. Reach my goal weight. No, really. This has been one of my goals for the last, oh, 5 years now. I’ve got a lot of fresh motivation for 2014: I’m turning 30, going on a cruise in June and rocking a wedding dress in December! I’ve defintiely been feeling more driven in the last three weeks than I think I have in the last 3 years! Get married Okay, so this is kind of a cheater goal since deposits have been made and dresses have been pruchased, but I guess you never know, right? Plan and execute my wedding without sinking us in to debt. Neither of us have carried credit card debt, and I’m not really interested in starting now. I can also see how wedding spending could spiral out of control very quickly. We’ve talked about our priorities in terms of where we want the biggest chunks of our budget to go so I just need to make sure I’m sticking to the smaller budgets I’ve set for the less important things. Complete a triathlon This is something I’ve wanted to do for 3 or 4 years now, but I’ve always been so focused on running it just never happened. Plus it was easier to focus on running since it doesn’t push me out of my comfort zone. I’ve been doing a lot more cross training lately, and I’ve even gotten back into the pool. I was originally thinking the Grand Rapids Triatholon would be a hell of a way to ring in my 30th birthday, but the date might not be great considering it’s only a few days before the cruise leaves. Run the Chicago Marathon This is kind of a big one and maybe even a little crazy considering I’ll be deep into wedding planning when peak training would roll around, but a friend and I have been talking about running the Chicago Marathon this year, and I actually think I’ve got myself psyched up to do it. I had a really good first marathon experience, and while I wasn’t sold on doing another one, it had more to do with the training. I’ve taken a bit of a break from running this winter, and I’m starting to see marathon training as a realistic goal for 2014. 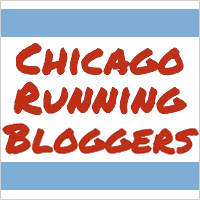 That said, this is specific to the Chicago Marathon. I don’t really want to just run any old marathon. If it works out that I can’t get in to the Chicago Marathon this goal will be scrapped. Complete a 2014 Project Life albumn. I started one on my 30th birthday, and just kind of gave up after a month. Weekly spreads was too much for me to keep up with and when I fell “too far” behind, I just got overwhelmed and quit. This year I’m going to do it one month at a time. Some months will definitely have more than others, but I think this approach will be better for me. Blog. I really enjoy blogging as a way to not only keep up with the many internet friends I’ve made but also as a means of journal keeping. It’s always the first thing I drop though when things get busy. So this year (or for the rest of it anyway) I promise to blog at least once a week. Improve my knitting and sewing skills and learn to crochet (even if it kills me). I know how to knit and sew already, but I want to get better at both. I also really want to learn to crochet because (as I understand it anway) it’s a lot faster than knitting. I have a basic understanding of how to crochet froma few people teaching me, but I still can’t seem to really wrap my head around it. Part of me thinks I just need to practice and stop trying to be a damn perfectionist about it. I may add some more goals down the line, who knows. Happy almost February!